Anyone have an FMX and converter out of the car for some measurements? › Anyone have an FMX and converter out of the car for some measurements? Anyone have an FMX and a converter sitting around? I'm trying to assemble my engine and transmission puzzle and am having troubles finding any specification / dimensions for the FMX converter / flex plate combo. Right now when I have my engine bolted to my transmission I only have about .010" free play between the converter pads and the flex plate. I'm trying to figure out what is out of specification, the flex plate, the converter or both. I am off by way too much to run it the way it is. If anyone has an FMX with a converter sitting around I am interested in two dimensions. 2) If you have the equipment to measure from the pads of the converter to the end of the pump drive end I would be curious about that too. 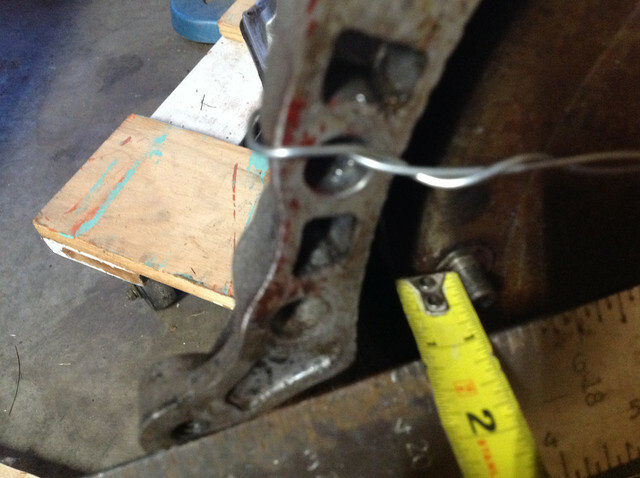 You're going to have over a 1/4" between the pads and flexplate if everything is correct. I've had some trans that took a lot of spinning and messing around with the converter to get it to seat properly. It is almost like the converter I have was set up for an engine plate. This is a custom converter built by a guy in Texas and I'm just trying to figure out for sure that it is the problem before I box it up and send it back to Texas to have it shortened. It is bottoming out on the pump, checked it by plastering a ton of transgoo grease on everything to see what was making contact when it was inserted. I really wish I wouldn't have scrapped my old converter, just so I could compare the two. I have an FMX with the converter in storage. I will pull it out later today and can check any dimensions you like. (07-29-2018, 06:23 AM)TommyK Wrote: I have an FMX with the converter in storage. I will pull it out later today and can check any dimensions you like. I've got one in my garage from my f100 build. 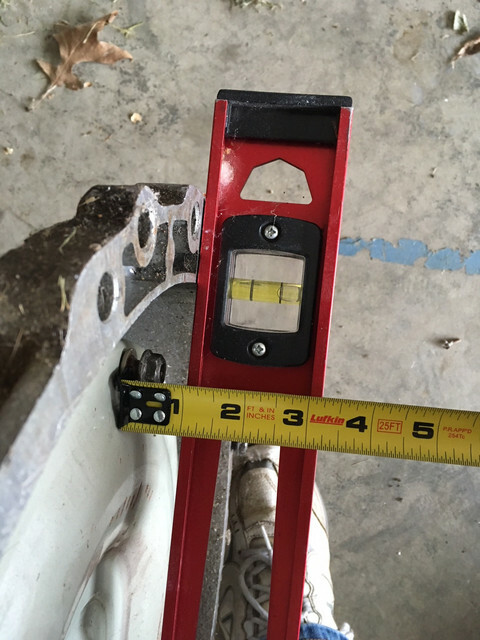 I measure pretty close to 1 inch from the bell housing face to the base of the converter studs. When I mounted this transmission to the engine the converter studs barely came through the flex plate and when the nuts were tightened the converter came forward about a quarter inch. It worked fine for about 300 miles until the pump puked fluid. The replacement fmx went in the same way and has been working great. Yes sorry for the delay. One inch on mine as well. I am taking the converter down to Spec Rite in Redding CA to have it shortened. They are close enough for me to drive to and that is a whole lot more practical than trying to ship it back to Texas with fluid in it. The torque converter overall length was within specification. I ran by Spec Rite converter shop a couple days ago, they measured the overall length and suggested that the driven pump gear might be in backwards. So I got home last night and checked it, it was correct - as in not backwards. Today I loaded up the whole mess including the transmission and bellhousing and went back to Spec Rite. Got down there after lunch and the guru looked over the puzzle pieces. After a bunch of measuring he figured out that the splined hub on the turbine was about .150” too close to the pump end of the converter. They are going to cut it apart and weld a new hub on the turbine. The converter I have was built from Sonnax brand parts, and they do not offer a turbine hub with the correct spline count for an FMX, so the one I have was kind of a custom tig welded hub made by the last converter guy. It looked good, but it bottomed out on the input shaft splines and was the cause of all this trouble. When it gets back I will measure it up and post the numbers for future reference. That sounds like quite the ordeal. Glad you got to the bottom of it.